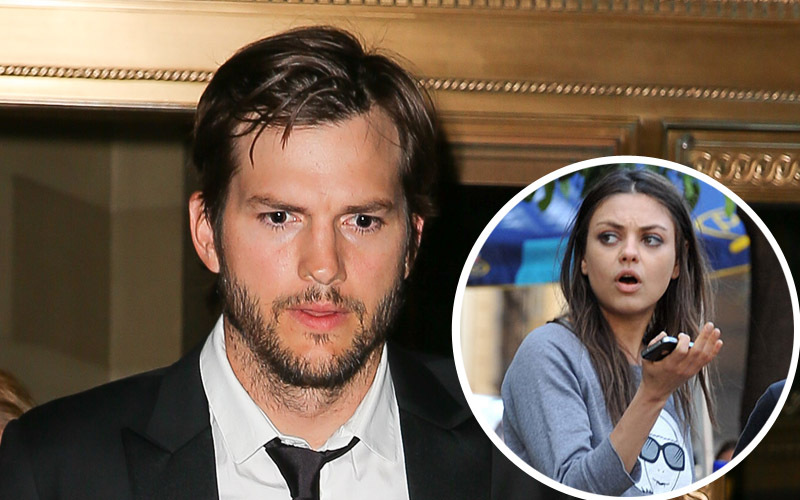 It looks like the honeymoon may already over for newlyweds Ashton Kutcher and Mila Kunis. Click through to find out some of the glaring signs that divorce may be imminent for this pair. Ashton's acting career is taking a dip. The 37-year old producer's superstar light is starting to dull—the offers have all but slowed to a halt, leading him to question his life and everything in it. Ashton wants more kids (now!) and Mila is just not ready. She feels like carrying their little girl was a lot harder than she expected, and she needs more time before getting pregnant again. But Ashton claims she agreed to have back to back babies. He wants a big family, and has lost trust in his wife for taking back her "promise." Photos surfaced of Ashton canoodling with a random blonde early on in their relationship, although it was just a bit of "drunken cuddling," per her now hubby, Mila never forgot it, and wonders if his soft straying at the very start their romantic relationship was a major red flag she mistakenly ignored. The Punk'd creator never wears his ring, enraging Mila and further fueling her distrust and self-doubt. As he's managing multiple business ventures, and has an active social life, the Two and a Half Men actor is constantly away from home for work, or just a general escape from his simmering stew of a marriage. The 32-year-old actress plans on hiring a nanny to lighten the load, and possibly give her and Ashton's ailing relationship an energetic boost. But Mila's insecurity is leading her to seek an old, matronly woman to care for their child, in order to ward off any temptation. The curse of friendship may prove to be the kiss of death for the couple, since Mila was a confidant back when he repeatedly cheated on his first wife Demi Moore, so she knows what he's capable of. Mila's been busy snooping. Her apparent lack of trust has lead her to sneak into Ashton's accounts to read his emails, and she's also been going through his phone. Both the honeymoon and cuddly fuzzy newborn phases of their union may have passed. The couple have been friends for many years, ever since they met on the set of That 70's Show. Getting married breathed a bit of new life into their relationship, but that period has now waned, and with little Wyatt now over a year old and likely in 'tearing up the house' mode, staleness and tension have begun to set in. The pair has fallen into a romantic rut. With all their responsibilities, coupled with the burden of being new parents, the passion has drastically fizzled out of their relationship.